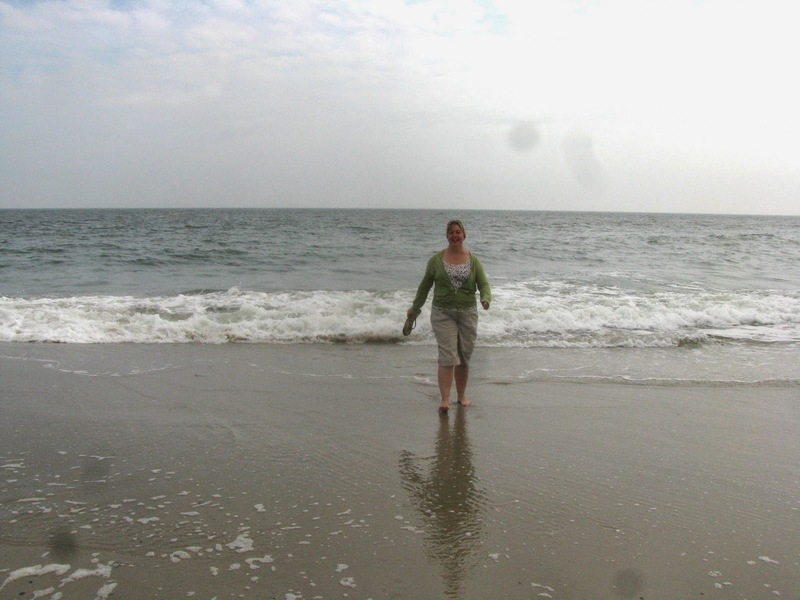 Finally got our toes wet in the Atlantic Ocean! After a great outing on Wednesday, we were all gung-ho about getting out Thursday morning. Unfortunately, not knowing the area, and not realizing just how huge Belleplain State Forest is, we spent more time in the van then looking at birds. Definitely a place to return too, either on a guided tour or with better maps, the park is massive, and if you don't know the "hot spots" you can waste a lot of time. After leaving the Belleplain area we went to the Cape May Bird Observatory. Jim wanted to meet author and speaker, Pete Dunne. 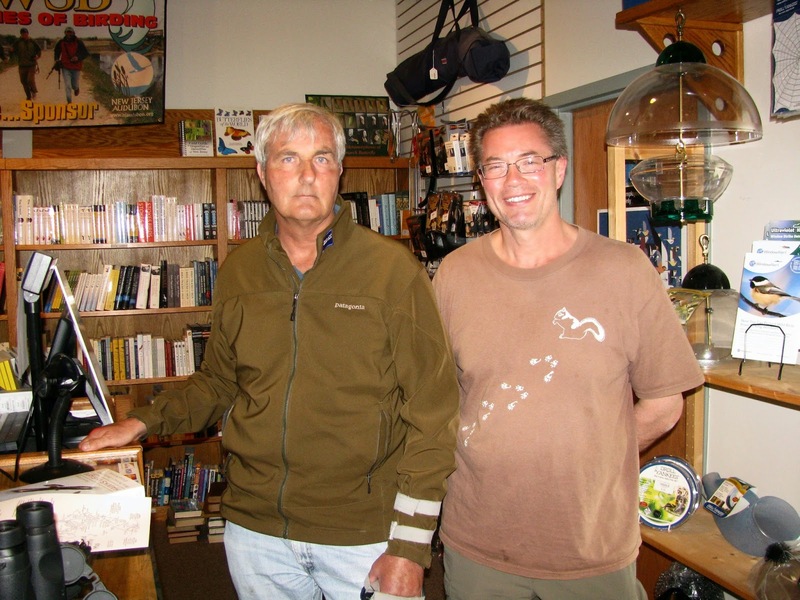 He was there at the time and nice enough to autograph one of his latest books, which Jim purchased there. Our spirits lifted a little after this stop, we made our way to Cook's Beach, where the shorebirds we got to see saved the day! The beach was covered with a variety of them. We had our best looks at Red Knots and a Ruddy Turnstone. 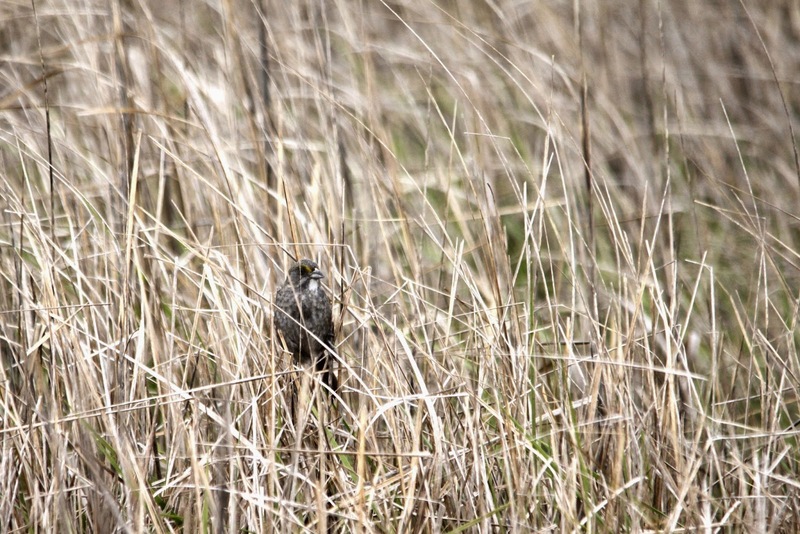 On the drive down to the beach we were all gasping at a first for all of us, a Seaside Sparrow, and there where many in the marshy area. 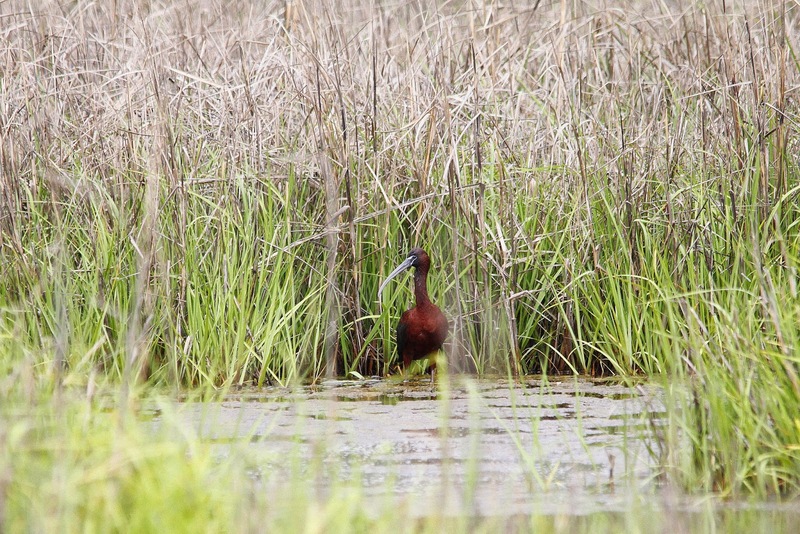 While watching the Seaside Sparrow, Glossy Ibis's flew up out of the marsh and gave us fantastic views. It was awesome! We got back in time to take a lovely stroll along the beach and finally get our feet wet in the Atlantic Ocean before dinner. 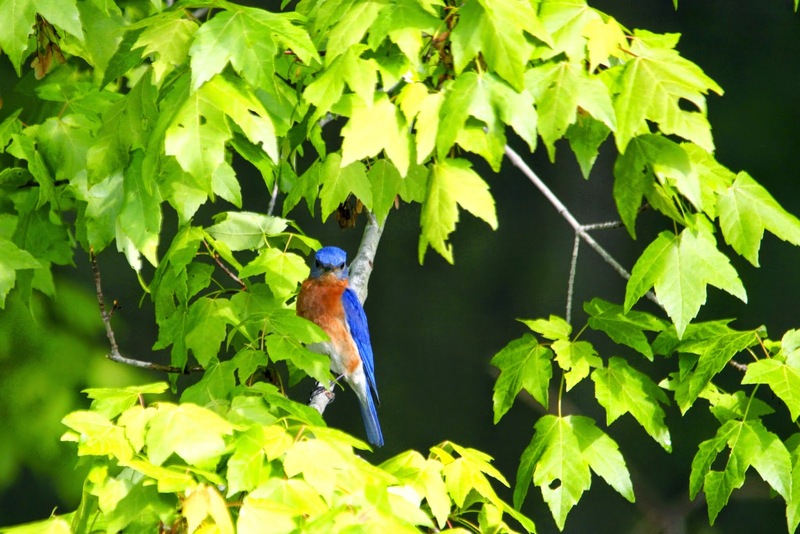 An Eastern Bluebird in one of the parking areas of Belleplain. Jim was pretty thrilled to meet Pete Dunne. A Seaside Sparrow, a lifer for all of us. A lifer for both Rob and I, Glossy Ibis. 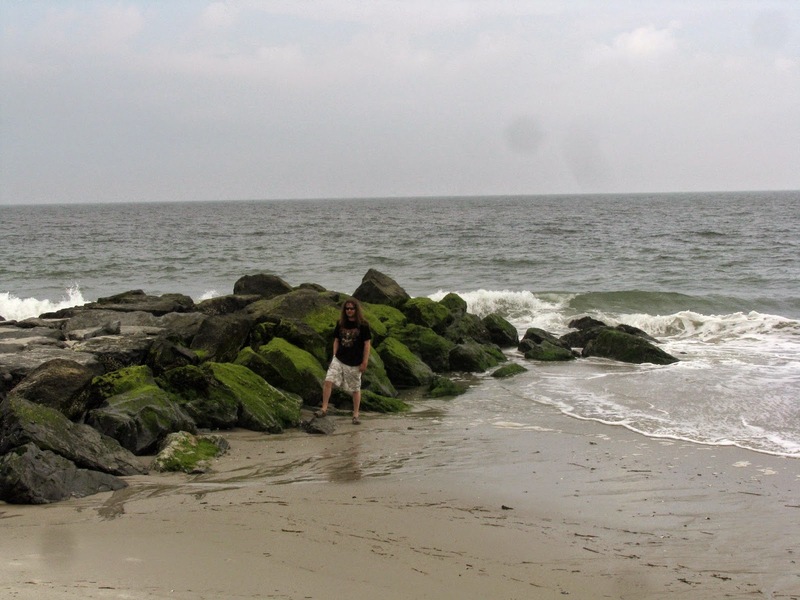 Rob's first visit to the Atlantic Ocean, but it won't be his last. This Nova Scotia girl was feeling right at home here. Our last day in Cape May may of got off to a rocky start, but it ended just fine.